Sharon Lechter is not only a CPA, and Chartered Global Management Accountant but is recognized as an international champion for financial literacy education. As an entrepreneur, author, philanthropist, Presidential advisor to two presidents and a national spokesperson for the AICPA Financial Literacy Commission, Sharon has dedicated her life to improving our financial well-being. As founder and CEO of Pay Your Family First, an organization dedicated to teaching the practical skills that will give a new generation the self-assurance to become masters, instead of slaves, to their money. Sharon is also the author of the bestselling books Think and Grow Rich for Women, Outwitting the Devil, Three Feet From Gold, Save Wisely, Spend Happily, and Rich Dad Poor Dad. 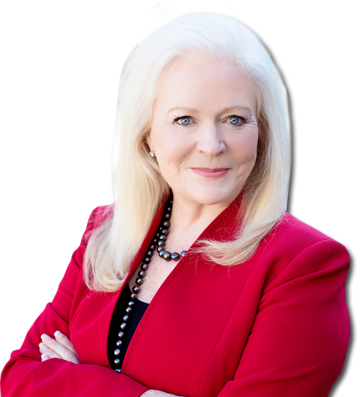 In 2013 Sharon received the designation of AICPA Financial Literacy Champion, received the 2013 Woman of the Year award from National Bank of Arizona and was honored by AZ Business Magazine as of the 50 most Influential Women in Arizona Business. Sharon actively participates in other women’s organizations including National Board position for Women’s Presidents Organization, EmpowHer and Enterprising Women Magazine. Sharon lives each day in pursuit of and to inspire others to achieve a life of success and significance. As a 7 time New York Times Bestselling Author, we are always pleased to welcome Sharon Lechter to our Habitude Warrior Conference Stage to share the stage with Erik Swanson and 33 other amazing speakers!